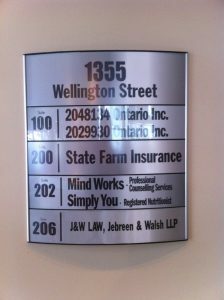 Located inside or out, great-looking, functional signage can serve a huge variety of purposes. They can elevate your brand, draw someone’s attention, help them find their way, tell them about your products and services and raise awareness of special offers. From signs for commercial spaces to retail stores, restaurants, public spaces and more, BOSS Image can make sure you get noticed. 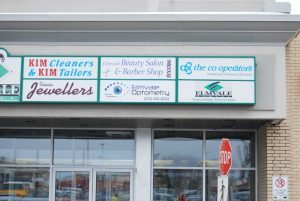 Here are some of the signage solutions we offer. 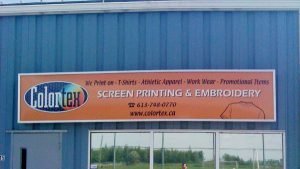 Whether you need a sign on your building, an outdoor banner or a billboard, we can expertly design (or work with your provided graphics), build and install a captivating outdoor sign for your business. Control the flow of your customers with directional signs that show the way, whether as a single sign or a complete way-finding system. 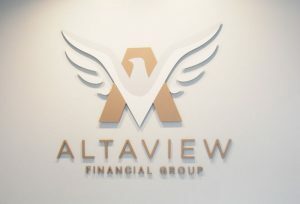 Make an impact with our 3D lettering and logos—ideal for offices and commercial spaces. Or choose peel-and-stick vinyl lettering and logos for just about any type of application on a smooth surface. Stand out in any light with our indoor and outdoor illuminated signs. Backlit signs or illuminated boxes are a great way to display important information, such as menus. Ideal for in-store advertising, store signage can be fully customized for any shape or size. For information that changes frequently, present your in-store graphics on dry-erase and magnetic boards that let you add important, temporary information. Printed on fabric and often finished with hems and grommets, banners install easily and look great. 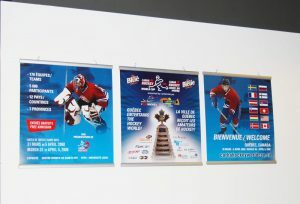 Whether you’re promoting a sale, a special or a local event in Ottawa, BOSS Image can produce banners to fit your needs. 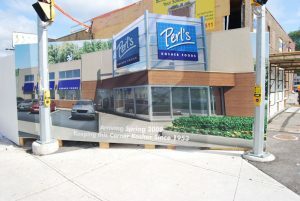 Build anticipation in the neighbourhood and local curiosity with our construction hoarding graphics signs. Polybag lawn signs: These signs are a great, low-cost way to obtain the high-quality signs you need. Perfect for local campaigns, garage sales, elections and more. Coroplast signs: These corrugated plastic signs have a variety of indoor and outdoor uses. Perfect for election signs, real estate signs, job site signs and more. Whatever your signage needs, you can count on BOSS Image to get it done right—the first time, every time. Request a quote, send us an email or give us a call at 613-715-4607 today!